The result of cross-contamination can be extremely costly, potentially resulting in tainted results, rework, and infected personnel. 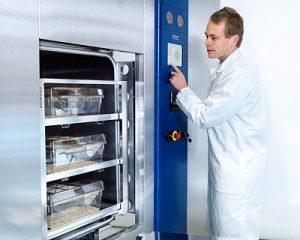 Therefore, keeping a clean, contamination-free environment, from work benches and equipment down to instruments and labware, is a necessity in most laboratories, research facilities and bio-containment sectors. We offer a diverse line of renowned washing, sterilization and decontamination equipment designed to increase your infection control and prevent cross-contamination. 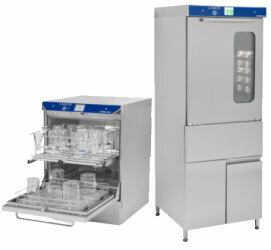 Our laboratory glassware washers provide superior washing and cleaning solutions for all of your flasks, beakers and other commonly used laboratory glassware; while our vivarium washers specifically clean and sterilize animal cages, racks, bottles and feeding containers. 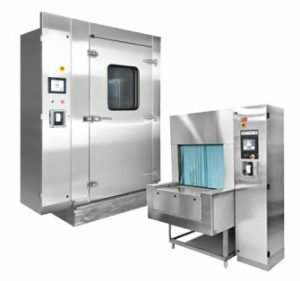 Our steam sterilizers and autoclaves are devoted to disinfect and sterilize all of your laboratory glassware, surgical instruments and other equipment and supplies as well as liquids and culture media. Rounding out our washing and sterilization offering is a wide range of innovative bio-decontamination equipment and services utilizing ionized Hydrogen Peroxide technology to rid your laboratory, including furniture and equipment, of airborne and surface contamination. From low volume washing and sterilizing to full room decontamination, we have the right solution to meet your cleaning needs including the compliance of any safety and government regulations.